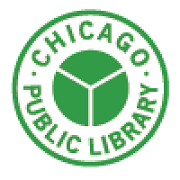 The Harold Washington Library Center offers an ongoing History and Genealogy series of workshops and lectures to help people research their family history. Where: Harold Washington Library, 400 S. State Street, (312) 747-4300. Always call to confirm. Subject to cancellation. Are you curious about your family’s past? Interested in where you came from? Join us to learn basic searching techniques using the library’s genealogical online resource, HeritageQuest Online. Time will be given afterwards for searching independently. The Newberry Library also offers a monthly Genealogy research seminar.